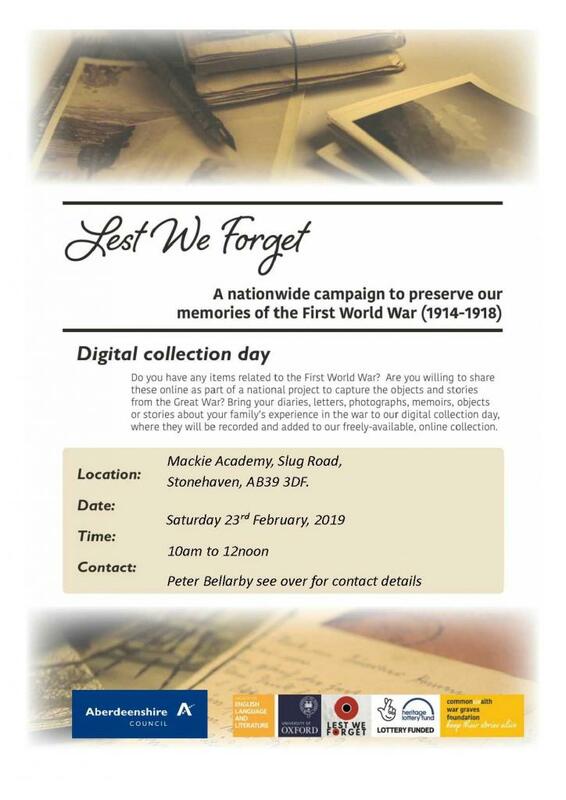 This Digital Collection Day is hosted by Mackie Academy. Senior pupils studying for Advanced Highers in History will be taking part and Members of the Mearns Camera Club will be assisting with photography. Thanks to Louise Moir, Head Teacher at Mackie, and Karen McClymont, Faculty Head in Social Subjects, for their help and support. Please do not bring any weapons or potentially dangerous objects to the Digital Collection Day.